Measuring your height has never been so much fun! This fun pull-out height chart is more than two metres (6.5 feet) tall, and covered with the tallest, smallest, weirdest and wackiest things to size yourself up to. Are you taller than the world’s biggest bunny? Could your baby sister fit inside a giant cucumber? How does Dad match up to the biggest recorded king cobra snake? The chart features illustrations of and facts about awesome animals, freaky food and all sorts of other cool stuff. 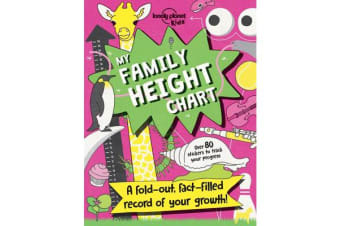 My Family Height Chart is perforated for easy removal so you can display it proudly on your wall. 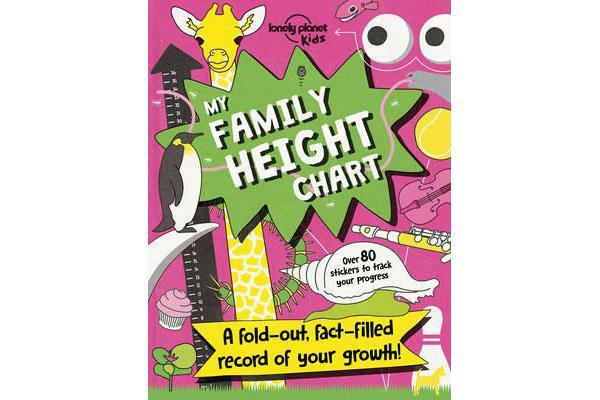 Includes stickers to add to the chart to see how you’ve grown. 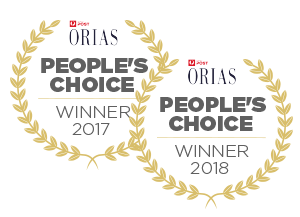 Give yourself a trophy or a rosette sticker when you reach a personal milestone. And make sure the rest of the family gets involved too. With over 80 colourful stickers, there are enough for everyone! How will you measure up? Taller than a lemur tail? Smaller than a giant snail? Bigger than a rearing snake? Tinier than a huge cupcake? Also available: Boredom Buster, My Travel Journal, My Family Travel Map, Backyard Explorer, Round-the-World Quiz Book. Collect them all! About Lonely Planet Kids: From the world’s leading travel publisher comes Lonely Planet Kids, a children’s imprint that brings the world to life for young explorers everywhere. With a range of beautiful books for children aged 5-12, we’re kickstarting the travel bug and showing kids just how amazing our planet can be. From bright and bold sticker activity books, to beautiful gift titles bursting at the seams with amazing facts, we aim to inspire and delight curious kids, showing them the rich diversity of people, places and cultures that surrounds us. We pledge to share our enthusiasm and love of the world, our sense of humour and continual fascination for what it is that makes the world we live in the diverse and magnificent place it is. It’s going to be a big adventure – come explore!